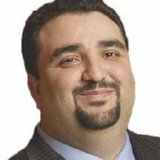 Raymond Bitar, Full Tilt Poker’s founder, pleaded guilty to accusations of taking online poker player funds to finance his once dominant online poker room. Part of a plea agreement between Bitar and prosecutors, Bitar pleaded guilty to two felonies, violating the Unlawful Internet Gambling Enforcement Act and conspiring to commit bank and wire fraud, that normally carry a 35-year prison sentence as maximum punishment. In Bitar’s case, however, the sentence was reduced to seven days, which he had already served. He also has been ordered to forfeit $40 million dollars, his home, and other properties. The reason for the “light” sentencing? A change of heart. Literally. Bitar, gravely ill due to a heart condition, is scheduled to enter a heart-transplant program in three weeks; something he would not be eligible for if sentenced to prison. U.S. District Judge Loretta Preska approved the plea agreement, saying that Bitar would unlikely survive a term in prison. “I don’t think any of us would trade places with him, no matter what,” Preska said in a statement. Bitar was one of 11 people charged by the US Departement of Justice on the infamous “Black Friday” of online poker, the da of reckoning in April 2011 for Full Tilt Poker, PokerStars, and Absolute Poker. “Mr. Bitar is the most culpable, in the government’s view,” said Assistant US Attorney Arlo Devlin Brown in a statement to Judge Preska, siting his untruthful, Ponzi-esque statements to investors about the security of their money and Full Tilt’s documented soliciting of new online gamblers from the US after the enactment of UIGEA.